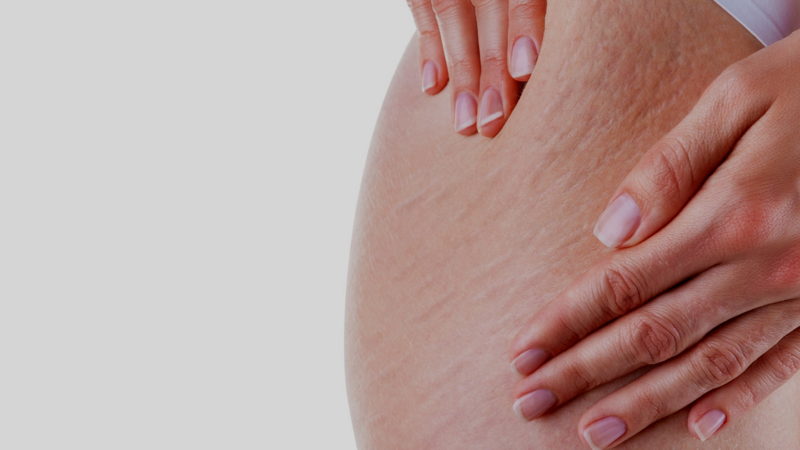 Stretch marks are internal scar tissue usually caused by the skin being stretched beyond it’s capability to bounce back. It is commonly seen on breasts, hips, stomach and thighs. Pregnancy, adolescence and conditions that bring on excessive weight gain quickly are the cause for these unsightly imperfections. Stomach, Inner Thigh or Hips. Can stretch marks for removed? Modern stretch mark removal treatments can reverse the damage of stretch marks. The most common treatment for stretch marks are IPL & eLos skin rejuvenation, RF Skin Tightening, Collagen Induction Therapy or Clinical Skin Needling. When used in conjunction with clinical scar treatment products these methods have good success rates. You will need to be patient as the skin takes time to heal, so start your stretch mark treatment course straight after summer to be ready for the next. What stretch mark removal treatment is best? The stretch mark removal treatment chosen will be the one that fits your skin type, extent of damage and the time frame you wish to see results in. For example a darker skin tone will respond better to Collagen Induction Therapy than Laser Resurfacing as there is no heat involved in the treatment which removes the risk of hyper or hypo pigmentation. How many stretch mark removal treatments will I need? The answer to this question really relies on the extent of the damage and the type of treatment performed. Most need at least 6 treatments to reach an acceptable outcome with some minor adjustments.